Vote for my horse on Threadless! I have a T-Shirt design up for voting on Threadless! Yes, this is my first design that has actually made it to the voting stage, and now it needs all the help it can get. 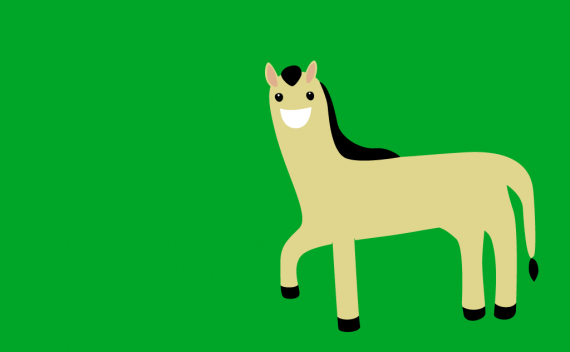 It’s such a happy horse- why wouldn’t you want to see it on a T-Shirt? If it walked into a bar, the bartender wouldn’t ask ‘why the long face?’. It’s that happy! I really wanted to submit this for a kid’s T-Shirt design, but I couldn’t see a way to do that independently. If you grown-ups like it though, great! Wouldn’t it make you smile if you saw someone walk past you with him on their chest?! Please vote for it, especially if you like it! Get all your friends and all your enemies to vote too! Yeah!